Forty years ago, the average family probably shot no more than a few rolls of 35mm a year but most of the time the negatives and resultant prints would be carefully stored away in a shoebox in a drawer or at the top of a wardrobe. As a result, almost half a century later, many of these prints are still available for younger generations to gawp at, laughing at grandad's kipper tie or even granny's mini skirt! This is hardly a new revelation as film photographers like me and many who read this blog have been saying much the same thing for years. It just carries more weight when big hitters at Google and the Royal Photographic Society are saying the same thing. 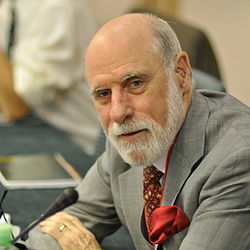 Recently - you may have read about it already but it was news to me - Google vice-president Vint Cerf warned of a "dark digital age" where digital information stored on CDs, hard drives, etc, will disappear or become unreadable. Michael Pritchard, director general at the RPS, said Mr Cerf's worries represented a "real concern" for historians. He said, "We are still looking at Talbot calotypes from the 1840s and I suspect we will still be able to enjoy these and today’s photographs, if they have been properly printed, in another 200 years. "I would be much less confident about anyone being able to view most amateur digital files, created today, in 200 years. How we archive, preserve and make available digital images (and other digital files) for the future is a real concern for organisations such as the British Library and the National Archives and should be a matter of concern for all digital photographers." Mr Pritchard raises three questions: will digital storage media survive in their environment, will they still work when played and will future technology be able to read them. He added, "The best estimates suggest that magnetic media have a lifespan of 10-20 years and CDs/DVDs around 10-25 years, and USB flash drives perhaps 10,000 plus read/write cycles." Google's vice-president revealed the company's concerns at a meeting of the American Association for the Advancement of Science. He said, "When you think about the quantity of documentation from our daily lives that’s captured in digital form, like our interactions by email, people’s tweets, and all the World Wide Web, it’s clear that we stand to lose an awful lot of our history." The Google and RPS comments follow an earlier warning by the Photo Marketing Association in the United States which predicted that "the most photographed generation will have no pictures in 10 years". Mobile phone pics were said to be particularly vulnerable - and even many film photographers rely on them for snapshots of friends and family. The RPS has issued some advice to digital photographers when it comes to archiving their images. The august body says you should edit your thousands of files down to a small number of keepers and make archival prints. 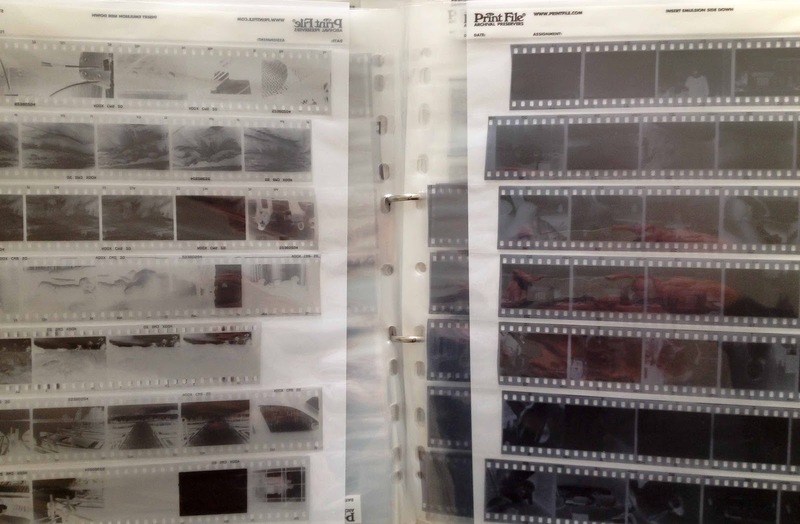 There is, of course, an easier answer - just use film! You can read more on this subject at the Amateur Photographer website. * The current societal pressure that discourages many photographers, myself included, snapping pictures of other people's children at play is another reason. So I keep shooting film besides digitial pics. Yes, this is a genuine problem and not just regarding digital pictures; it is also a problem for other types of (digital) information. Several clubs and societies I have been a member of for decades, used to publish yearbooks, newsletters, result lists and the like. Then someone decided to put it all on the Web because "it was so much easier". Now we still have the printed material from the 60'ies, 70'ies, 80'ies and so forth, but after changing Internet providers or website hosts much of similar information material from the year 2000 and onwards has simply vanished into thin air. It is the result of improper use of moderne information technology, I know, but I am sure this has happened to many people og organisations all over the world. Good point re the websites, Lars. With older prints we also had the negatives. If the prints faded or were damaged, we could re-print from the negative. With digital prints, we don't have that backup. Unless you use a digital file to film service such as provided by Chicago Albumen Works. You know what is annoying though . . a few years back we bought a digital compact for 'holiday snaps'. We've used it. Have we printed any of them? Have we hell, whereas before it was always the MjU and getting them processed and comments like 'Why did you take that? and 'Why are we wasting money on this?' BUT AT LEAST WE HAD SOMETHING TO FILE AWAY FOR FUTURE REMINISCENCE. Might I add a few thoughts? 2. I think Doug's point is extremely valid: Those images that must be safeguarded for legal and documentary purposes can indeed be transferred to film and stored in conditions that allow such images to be archived. My dad has made this comment for years now. He publishes a family genealogy newsletter (on paper). His comments extend however to written letters as electronic correspondence has the same ephemeral qualities as digital photos. His newsletter is also replete with photos that are scans of tintypes, cyanoprints, sepia, and silver gelatin photographs. The other thing he emphasizes a lot and applies here is the need to identify everyone in the photos. It seems that if you look at a photo you took of friend or family presumably you know everyone in it. Go down a generation though and suddenly they become strangers. He spends lots of time guessing who people are or hopefully he can cross reference to another photo which was marked. This can be as simple as writing on the back of a print. For me Blurb also becomes a kind of preservation tool where I can get images onto something more tangible than alternations in magnetic fields. I have this reel of wire recoded on a Webster recorder but how can i play it ? It's important for the family to have the visual records of their recent past; but, as Elliot states, many of the next generation do not want to be bothered with its preservation. However, the more important argument is how many unknown great photographers would not be now discovered or re-discovered if their archives were digital. Commercial/portrait photographers whose work is re-evaluated late in their lives (Van Der Zee). Or amateur photographers. What would Maloof have done if Vivian Maier's treasureload of images had been CDs? The desire to see old photographs might skip a generation or two, but chances are in the future someone will have the desire to view a photograph of great-grandpa. Even as we grow older, our desire to look into our own past begins to blossom. I am a history teacher and tell my students, most of whom are seventeen years old, that history is a delayed reaction course; you will appreciate what you learn in about thirty years. As an historian, what many people find as a boring photograph, I find glimpse into the past. I am beginning to wean myself away from digital photography. I still enjoy my DSLR for certain types of photography, but find myself drawn back to film more and more . I think it's sad that there will be several generations of kids who group up without a single tangible photo of their childhood. I loved sitting in the floor, looking through entire boxes of childhood memories. Having that photo helps to provide a sense of belonging, place, and heritage. I took my new 100 GB hard drive and copied my old hard drive on to it. All files present and correct. Now I have two hard drives with all my pictures. Took about 10 minutes all in all. How's that copy-neg thing going ? What's that I hear, you scan them ! Seriously, as a film and digital user, this is disappointing - the conspiracy theorists gathering. -Eh ? I have two or three copies of all my digital files and I can just open one of the files and print it at home. Isn't that a back up ? Seriously, this website has a major fault. I really couldn't care less about the film vs digital argument - it's all about images to me. When this blog goes on about film it's invariably positive and extremely useful - hell, even uplifting at times. But when you go on about digital it's becomes the worst case conspiracy theorists. Rationality goes out the window. - this reader doesn't seem to realise that it is possible to name a digital file with the name of the person in the photograph for identification purposes. Seriously, is this even an argument against digital - that someone doesn't realise that you can name a file whatever you want. So my suggestion, if you despise digital so much and genuinely fear for your data - then you only have one rational option - stop using all digital. So end the blog, stop the scanning, stop using the i-phone and dump all your digital files in that little bin. I don't know what exactly triggered you, but it surely made you shortsighted. Of course we all make backups. I have 4 of them in different places of all my files and they are updated all the time. So that is not the problem. The problem is that you will wake up some beautiful morning and may want to see that 40 year old picture you kept so safely all those years and find out the old file cannot be opened anymore. When my parents died some 10 years ago, I found a box with negatives from my childhood and even before that and I can print them in the darkroom or scan them and process them in Lightroom and I am sure those 60 to 80 years old negatives will still be there in a 100 years. I do not see that happen with digital files. On my hard disks with all the effort I made to make backups, there are allready files I cannot open with the software I have. Apple went from MacOs to MacOs X and lost are some of those old files. The trouble I had to get a scsi Imacon scanner working on a 2010 Macpro! I will spare you the story. That's hardware with only 10 years age difference. Imagine what happens in 20 or 40 years. Not much wrong with digital photography (except that I personally cannot get very extted about it, how much I tried) but don't think you solved the problem by making your daily backup. People loose pictures all the time, caused by carelessness, but even more because hardware dies and software gets outdated. Raw differs for almost every new camera.